Community Resources is open 5 days a week to meet clients and offer referrals. Our referral program empowers community members with the tools to create their unique path. The listing below is a sampling – not a full list – of the collection of LGBTQ affirming services providers, agencies, and businesses. What is an affirming service provider? Preserving and expanding LGBTQ+ theatre with classic plays, introducting new artistic works and educating the community at large through theatre. LGBTQ+ books, videos, publications, and historical newspapers. Singing group promoting musical arts within the LGBTQ+ community. The region’s annual LGBTQ+ film festival. Unique art pieces on display at the Center every 2nd Saturday along with art-oriented workshops. The Crocker serves as the primary regional resource for the study and appreciation of fine art. The Museum offers a diverse spectrum of special exhibitions and programs to complement its collections of Californian art, works on paper, European art, international ceramics, photography, and Asian, African, and Oceanic art. Making Midtown the center for culture, creativity, and vibrancy in Sacramento’s urban core. LGBTQ+ directory of LGBTQ+ friendly businesses, professionals, and services. Available for free in print at the Center or online. LGBTQ+ business owners, professionals and allies in the six-county Greater Sacramento region. Chamber hosts monthly mixers and regular professional development workshops for members. Full service, federally qualified health center. Counseling/therapy services to anyone who expresses the need as well as anyone who self identifies or is perceived to be gender variant. Telephone, online private one-to-one chat and email peer-support, as well as information and resource listings across the country. Culturally competent clinic offering STD education, prevention, and support services with emphasis placed on people of color, LGBTQ+ communities, injection drug users, youth, and more. Directory of affirming primary care providers, specialists, therapists, dentists, and other health professionals in specific areas. Addiction Resource raises awareness of the dangers of substance abuse among the LGBTQ+ community. Organization providing substance abuse, co-occurring mental health, reentry, and related behavioral health services for youth, adults, and families. Empowering children, youth, and families with HIV/AIDS. Providing support and services for domestic violence and sexual assault survivors with programming specific to LGBTQ+ people. National legal organization whose mission is to achieve full recognition of the civil rights of LGBTQ+ and those with HIV through impact litigation, education, and public policy work. Legal firm prioritizing low income populations. LSNC hosts a free, monthly clinic at the Center every 4th Monday by appointment. National legal organization committed to advancing the civil and human rights of LGBTQ+ people and their families through litigation, legislation, policy, and public education. Advocates change law, policy and attitudes so that all people can live safely, authentically, and free from discrimination regardless of their gender identity or expression. National organization with a legacy of promoting the well-being of LGBTQ+ youth and their friends and family, through support, education, and advocacy. Supportive group of families of transgender, gender variant, gender nonconforming, or gender questioning children (4-18 years old). For men who have children, have grown children, planning on adopting children, or have a partner with children. Local group for LGBTQ+ parents (or prospective) parents to plan play dates and events. Finding and nurturing permanent families for children living in foster care. Local non-profit providing supportive and behavioral health services for youth and their parents. Daily meetings at 12 p.m., 6 p.m. & 8 p.m.
Thursday 7 to 9 p.m. Creating and supporting opportunities that enhance the lives of older adults and their families to be safe, healthy, and independent. A new affordable, LGBTQ+-welcoming senior housing project scheduled for the corner of 16th and F streets in Sacramento for those 62 years of age and older. Online resources center providing trainings, technical assistance, and educational resources for the aging LGBTQ+ populations. Soon-to-come LGBTQ+ elder housing in Sacramento. Follow the initiative by contacting group directly. National organization committed to improving lives of LGBTQ+ older adults with advocacy, location specific programs, and online workshops. Support network to LGBTQ+ elders and allies, which hosts monthly meetings and regular social events. Men’s gatherings ranging from pool parties to healing events. 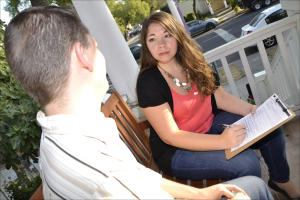 Multiple, interest specific meet-up groups facilitated by local community members. Sacramento LGBTQ+ news publication highlighting local community members and current events. Available in print at the Center for free or via OutWord’s web site in PDF. A supportive lesbian community of artists, writers, academics, blue collar, leather, professionals, students, homemakers and techies. Embraces gender fluidity and non-conformity: Butch, femme, lipstick les, power femme, “just me,” leather daddies, trans men, trans women, and fabulous androgyny. For comprehensive list of LGBTQ+ sports leagues, e-mail the Center. Healthcare organization serving transgender and gender variant communities; hormone therapy, counseling, support groups, and legal health clinic open to all. Support group for gender variant, transgender and intersex community, their significant others, parents, children, allies, and helping professionals. Open, safe, and secure. Monthly support meeting for transparents, parents with transgendered children, spouses and families with or without children. Meets with PFLAG Sacramento. Crisis hotline operated by transgender people for transgender people. Free with specific hours, counselors are culturally competent to serve trans and gender nonconforming communities. National non-profit for the betterment of active, reserve, and veteran service members, especially LGBTQ+ current or prior military personnel. Embracing and supporting the LGBTQ+ service members and veteran community with events, monthly meetings and military-specific, local resources on website. United States Department of Veterans Affairs policies of equal treatment of LGBTQ+ service members. Comprehensive supportive services for veterans and their families; housing, employment, counseling, financial support, etc. 24/7 crisis line with trained counselors and resources database available youth 12-24 and those who care for youth; program of the California Coalition for Youth. Private, one-to-one chat, and email peer-support, as well as information and resources. 1-800-246-PRIDE (7433). Crisis intervention and suicide prevention line to lesbian, gay, bisexual, trans, queer, and questioning youth and young adults. Online messaging during certain hours. Large network of local service providers who collaborate to provide resources and solutions to youth and their families. Call or text the WHY Sac phone for assistance. Six-bed, short term shelter and daily drop-in center for youth ages 12-24. Peer advocacy and resources referrals to provide youth with permanent housing solution.